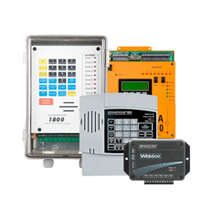 Sensaphone offers a comprehensive line of remote monitoring systems that safeguard property and equipment assets. Property damage can occur if there are changes in conditions like temperature and humidity. Damage can also occur from water leaks, equipment failure and power failure, so it is important to be notifed as soon as these changes occur. The system sends an alert when it senses a change that falls outside of the acceptable range. It can send any combination of e-mail, text or voice messages. Remote monitoring systems can also automatically data log critical environmental data points for easy compliance reporting. Sensaphone monitoring systems are used by hundreds of customers in many industries including oil and gas, water and wastewater, HVAC and refrigeration, agriculture, greenhouses, science and health labs, network data centers. They are also used by homeowners to protect vacation properties and small business owners to protect locations that are left unattended for long periods of time. The Sensaphone IMS remote monitoring systems alert you to environmental threats in computer rooms and data centers. 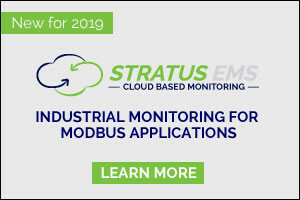 Designed with the IT professional in mind, these remote monitoring systems are also used in medical, pharmaceutical, and food industries that have a need for monitoring several locations from one device. A multi-site, multi-user software license is also included with the purchase so there is no worry about additional licensing costs. 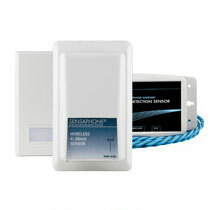 Sensaphone provides a full line of general sensors and accessories to use with remote monitoring systems. Choose from a variety of environmental sensors and devices that are suitable for use in industrial or residential applications. Use Sensaphone sensors to monitor temperature, humidity, water, flow rate, vibration, power failure, equipment failure, etc. Now you can monitor critical conditions at remote locations without running wires. Based on proven Sensaphone remote monitoring methods, the Sensaphone 2800 and WSG30 can read sensor status from wireless sensors. 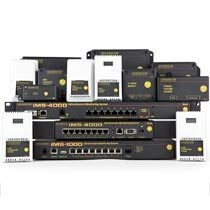 Monitor for temperature, humidity, power failure, water detection or connect to existing equipment with Wireless Dry Contact or 4-20mA Interface devices.